This extension adds the possibility to intergrate the Google Analytics script to all your multi-store pages. By default this is only possible for the default store, but now you can add the Google Analytics script to all your stores. 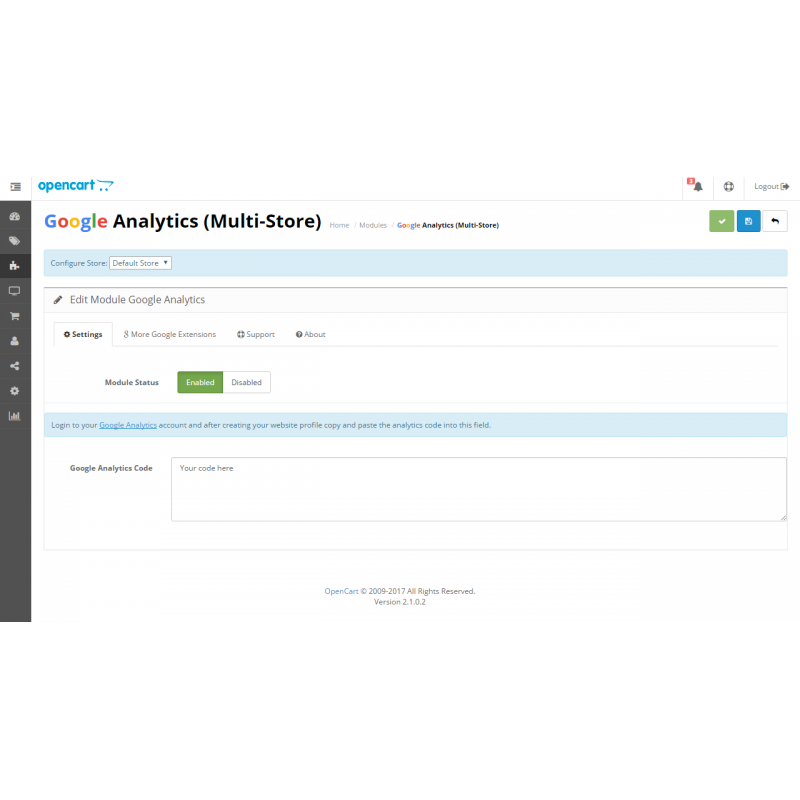 Opencart added Analytics for multi-stores in version 2.2.0.0 but it doesn’t work. 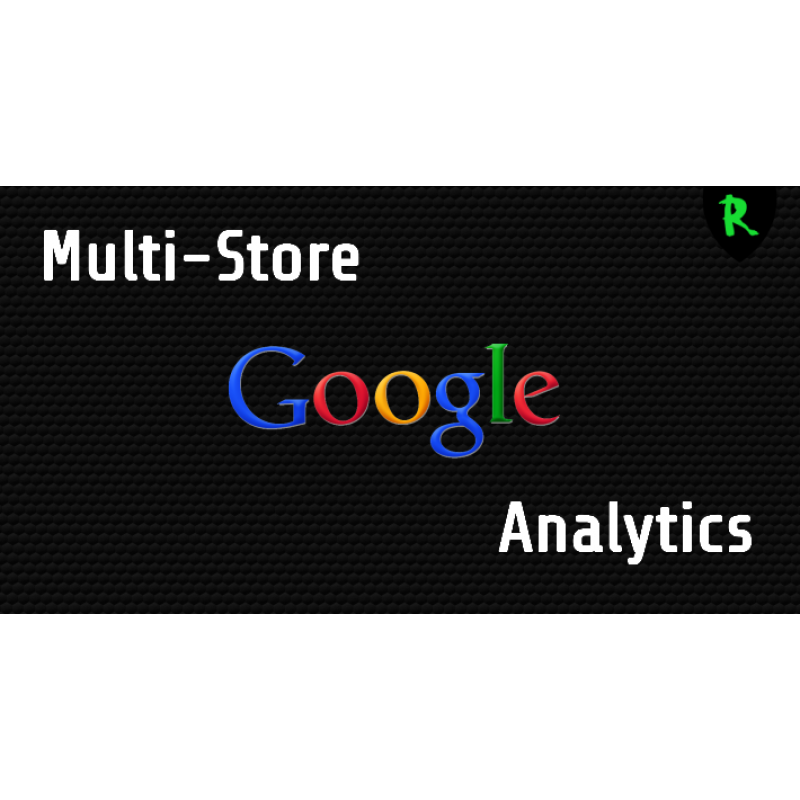 With this extension you can use the Analytics code for your multi-stores. In Opencart version 2.3.0.2 they fixed the multi-store part so we won’t update this extension for 2.3.x as the function is already there.